An attorney for Tampa Bay Buccaneers running back LeGarrette Blount denies the player was involved in a beating after a Sept. 11 Bucs game, according to Josh Poltilove of the Tampa Tribune. 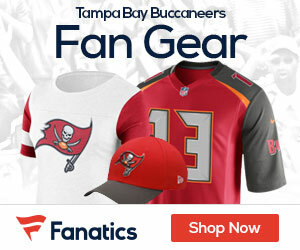 A Bucs fan had told police two people had attacked him after a crash and a third person who appeared to be a wrestler or a football player directed the attack. The vehicle that was struck in the crash is owned by Blount’s sister. Officers investigated the incident but Blount was not charged. “It’s absurd,” said Blount’s attorney, Ryan Morgan. “We categorically deny that he was directing anything.” The only reason Blount’s name is being mentioned at all is that he’s in the NFL and can be used as a monetary target, Morgan said.